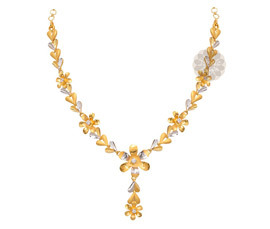 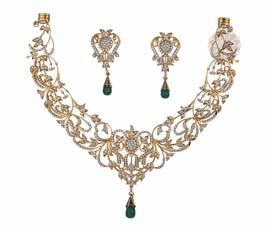 We are an exporter and manufacturer of Designer Gold Necklace. 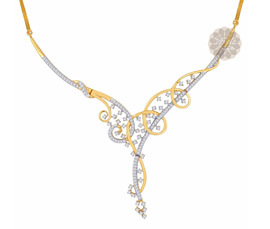 This luminous neck-piece has been made finely with gold. 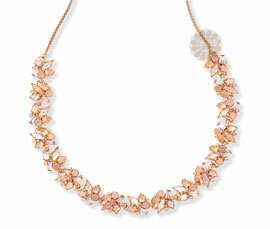 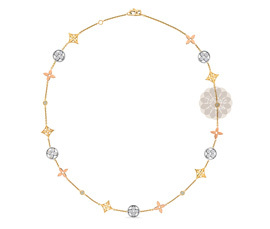 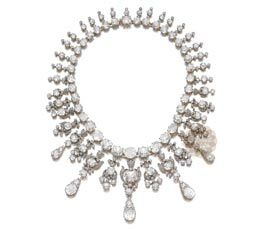 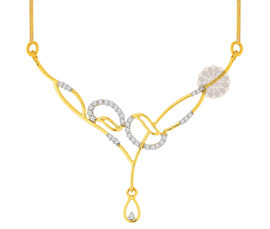 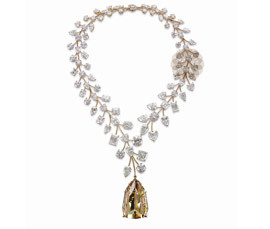 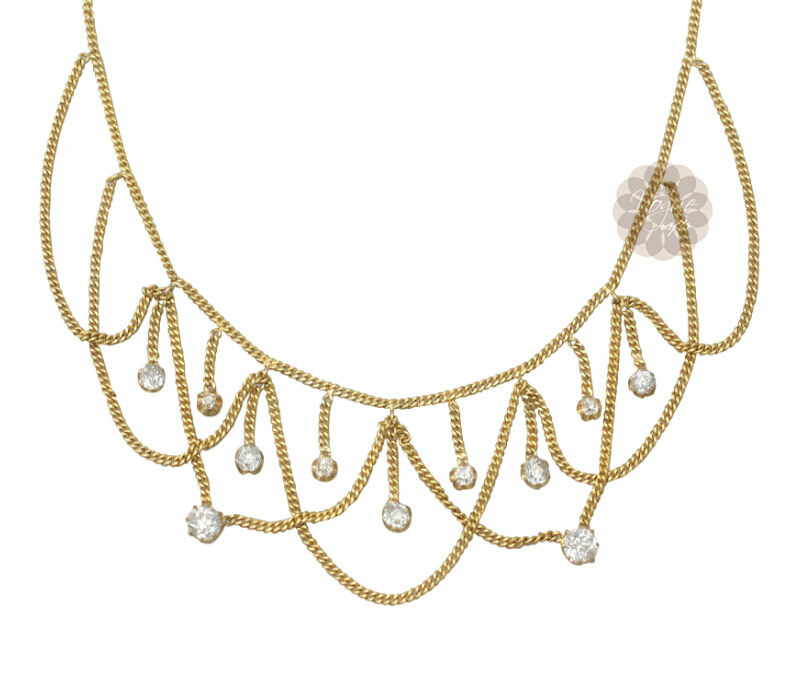 Dazzling diamonds have been used to augment the artistry of this necklace. 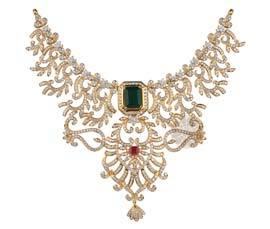 This trendsetting jewel can be customized with traditional as well as western costumes.